Contains Japan's oldest 4 1/2 mat tearoom, the Dojinsai. 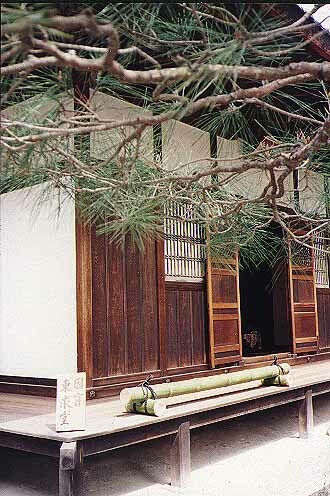 Tea ceremony, first, pine, door, tatami, 4 1/2. Descriptions, dates, counters for tatami.